A pair of 18kt yellow gold lotus flower hoops. 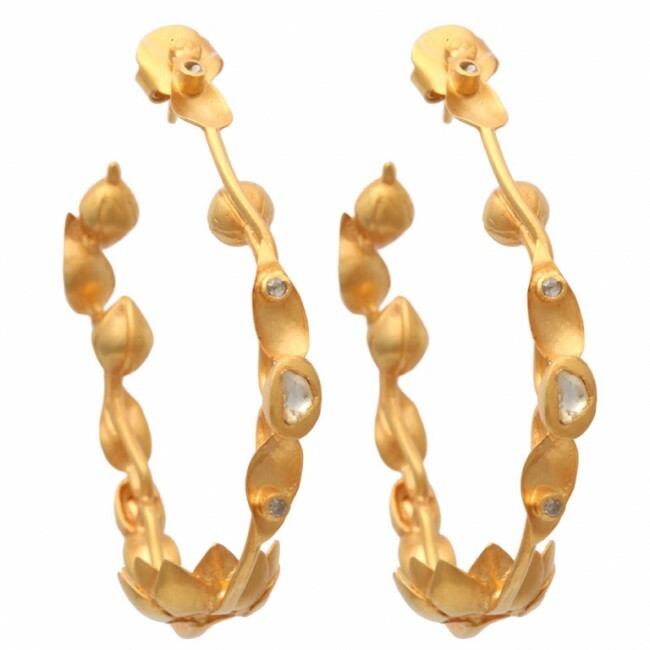 The earrings are composed of an 18kt yellow gold vine adorned with lotus flower buds and leaves and have scattered rose cut diamonds throughout the vine. There are also rose cut diamonds set into the open bloom at the base of each earring. 18kt yellow gold and diamonds.